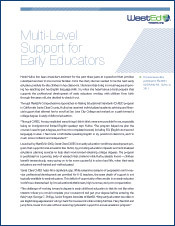 The WestEd E3 Institute—Excellence in Early Education supports and strengthens the quality of early education services by promoting professional development of early childhood educators to ensure the highest quality early learning experiences for children ages 0–5 years in Santa Clara County, California. E3 implements the QRIS rating process for Santa Clara County and links participating programs to quality improvement resources. E3 also facilitates programs that offer opportunities for early educators to advance their own professional development as well as their organizations’ overall effectiveness. These programs include facilitation of a coaching collaborative, distribution of financial incentives, collaboration with higher education institutions, and the promotion of the California Statewide Professional Development Registry. 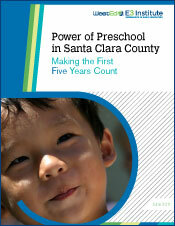 The Santa Clara County QRIS includes more than 130 centers and Family Child Care homes throughout the county. Santa Clara County is a participating county of the Bay Area QRIS Partnership that is focused on building a coordinated approach to QRIS in the region. The Bay Area partnership comprises Alameda, Contra Costa, San Francisco, San Mateo, Santa Clara, and Santa Cruz counties. 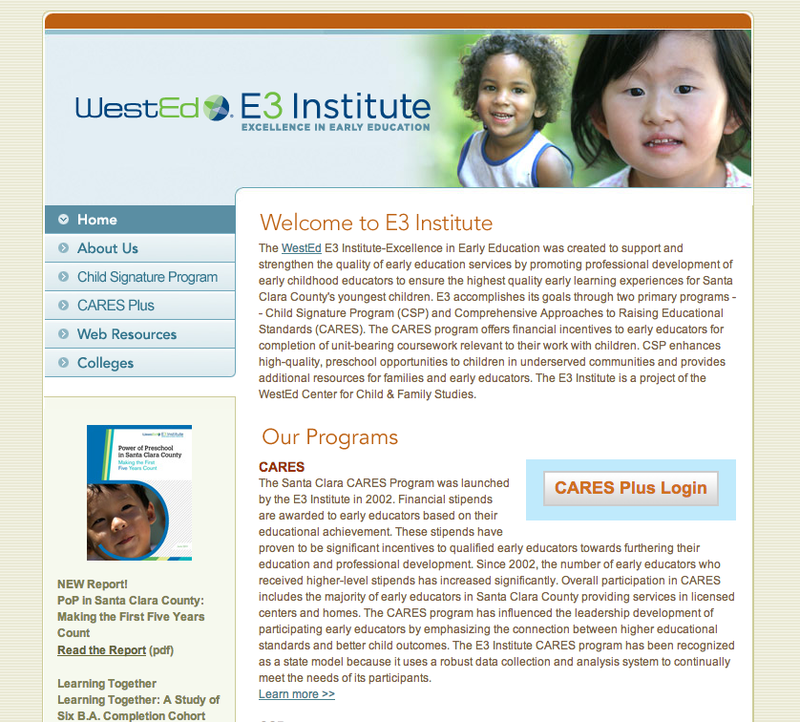 The E3 Institute is a project of the WestEd Center for Child and Family Studies (CCFS). CCFS is dedicated to helping children get a healthy start in life, with a focus on children and families living in poverty, dual language learners, and those with disabilities or other special needs. CCFS is a leader in promoting high-quality, research based early care and education services, and its work informs national, state, and local child and family policies. Be sure to visit http://www.e3institute.org to learn more about our work and latest developments. Learn how a partnership between WestEd's E3 Institute and San Jose State University is improving the quality of care and education for children and families.